28th July 2016 - This article may contain affiliate links where I receive a small commission for purchases made at no extra cost to you. Sat on the toilet the other day, I experienced my first ever Chilean earthquake. I’ll admit that my initial concern when the toilet bowl beneath my bare bottom started shaking was more about the weight I’ve been putting on lately. Quickly, this turned to a different type of alarm when the shaking continued, despite being sat very still. In a country where one of the first pieces of advice you’re given by your new host is what to do in the event of a serious earthquake (get away from shelves, heavy televisions, or anything likely to crush you; lying in a foetal position in bed is the most recommended), I could hardly go three months without experiencing the angry tremors of tectonic activity. Chile’s marvellous location on the boundaries of the Nazca, South American, and Antarctic plates make it earthquake central. Luckily, as I’ve learned in recent months, it’s a country far better designed architecturally to withstand a large tremor, unlike Ecuador further up the coast. But learning to live with the constant prospect of an earthquake is just another example of the way I’ve had to become accustomed to the cultural quirks of new countries. In Bolivia, it was babies indistinguishable from groceries, as both were carried in the ubiquitous Andean cloth, the aguayo. In Peru, llamas roamed the streets, posing for selfies with tourists. Here in Chile it is earthquakes and the peculiarities of a language that I thought I had been close to mastering. But what’s struck me recently is how adaptable we are as humans. I don’t know if this is a good thing. When writing a recent article about the strangest South American eccentricities, I’ll admit to being initially quite stumped as to what I could write for the piece. Accepting that everyone will be at least 30 minutes late to an arrangement, or that guinea pigs are meals not pets, had been a slow but absolute process; but after twenty long months here, these have become an unquestioned part of life. Each country has its quirks, and we soon forget to see them as such: on reflection, in Britain, we drink inordinate amounts of tea and milk. 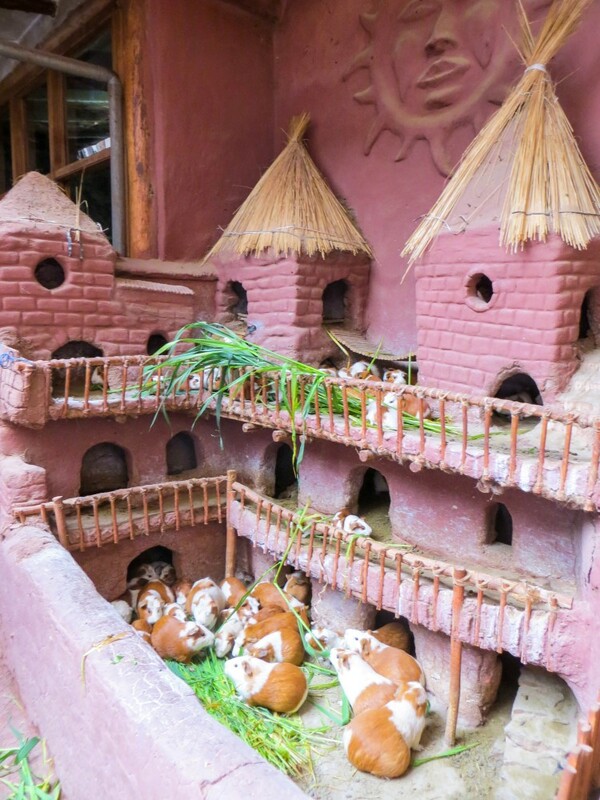 In the Andes, they roast guinea pigs. Is either act really any stranger than the other? Travelling has made me both open-minded and curious, but instantly accepting and unquestioning at the same time. Most tourists take endless photographs of the traditionally-dressed women selling their wares on the streets of every Bolivian town. I never did; firstly, from a dislike of my camera lens intruding into their faces and reducing them to a cultural spectacle, and over time, because they became a normal part of the fabric of life. I’ve forgotten what it feels like to marvel at a South American market: a feature of this continent that acts as almost a shorthand for life here. The colours of the mountains of exotic fruits that would sell for a king’s ransom back in the UK; the putrid stench of the meat that has been hanging out of the fridge, at the mercy of the flies, all day; the enormous cakes smothered in lashings of chemically produced cream and decorated with lurid streaks of coloured writing; the enterprising dogs who stake out their post beside a butchers, safe in the knowledge that at some point in the afternoon, their patience will be rewarded. The markets represent the vibrant chaos that is life here, and which I have grown to love, despite how difficult and frustrating it can be. All of these are what I now consider to be normal. Arriving in Chile, a country that is so far removed from this idea of South America made me begin to question my own concept of culture far more. 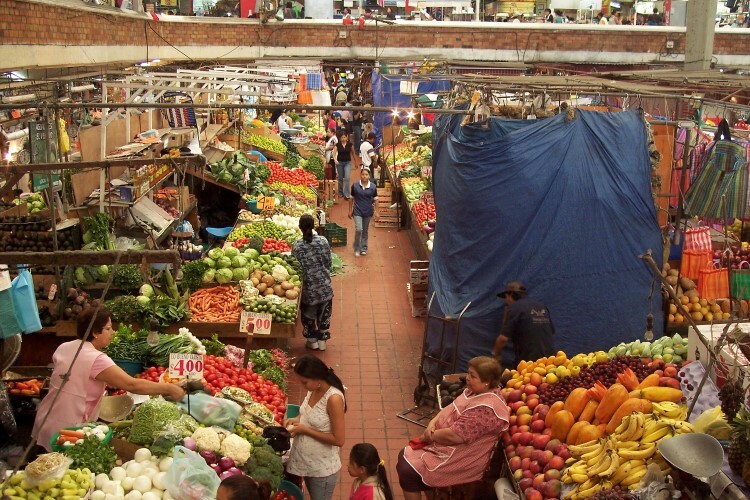 Unlike the bustling food section of markets found in Bolivia and Peru (and where a full meal can be acquired for a couple of quid) the central market in Santiago is now filled with upmarket restaurants. A nearby food section sells fresh fruit and vegetables, but it’s a mere husk in comparison to the lively central hub provided by markets in other places. As I look to book a trip home at the end of this year, I’ll admit to being more than nervous at how I will find the culture that I left behind, almost two years ago. Will I find it as disappointing as that moment when I stepped into the Santiago market, after the excitement of life far from home? Has flying away to a land where earthquakes and street dogs and roasted guinea pigs are the norm riven an unbridgeable rift between what I thought was “normal” before? In a way, I hope so. I think we accept “normality” too quickly. We forget to challenge what is before us and why it is that way. Without experiencing something to the contrary, we can never really challenge the perceptions of “normal” in our lives, or the broader society around us. So, I’ve come to the conclusion that I’m happy to feel an earthquake every once in a while. Not only to remind me of what it feels like to be alive, but how every new country should force me to re-evaluate my perceptions and refuse to accept that “normal” is the way that life should be.